River Town Lodge. Photo by Emma Tuccillo. Finding a good-looking hotel is easy. Finding a good-looking hotel that won't set you back more than $250 is not. But that's what we're here for. 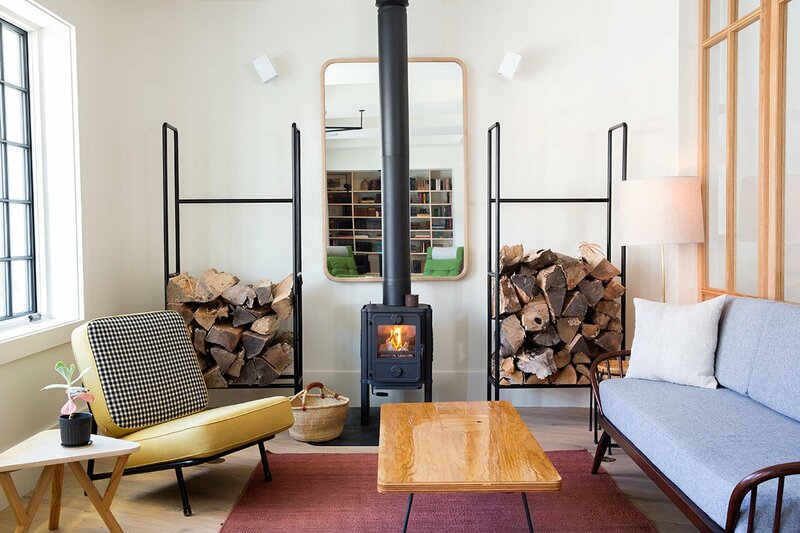 We found indie, cool, budget hotels on the East Coast that will redefine how you think of "budget." What do they have in common? 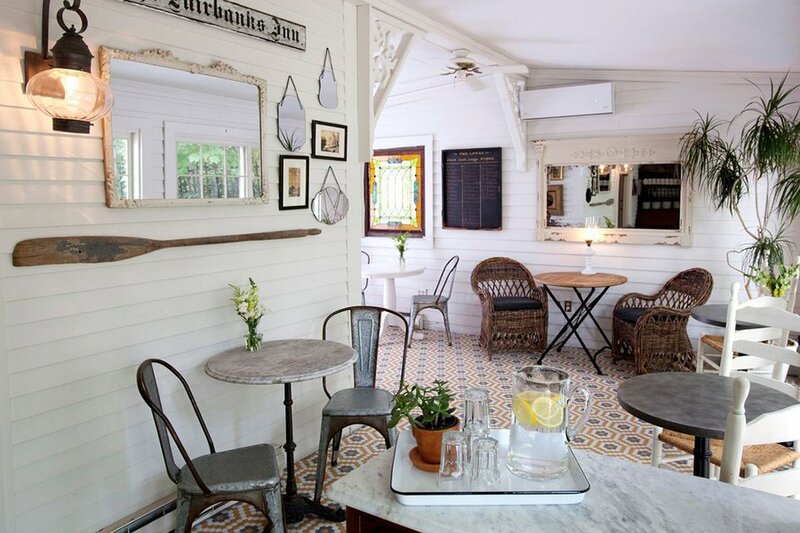 Thoughtful details, like complimentary small-batch beers and antiques sourced from Europe, that make each one a terrific option for travelers who appreciate good design and a great deal — and don't want to sacrifice either. Atmosphere: The town's Victorian-era past will mix with its rock-n-roll present at the Jersey Shore's hottest new hotel. 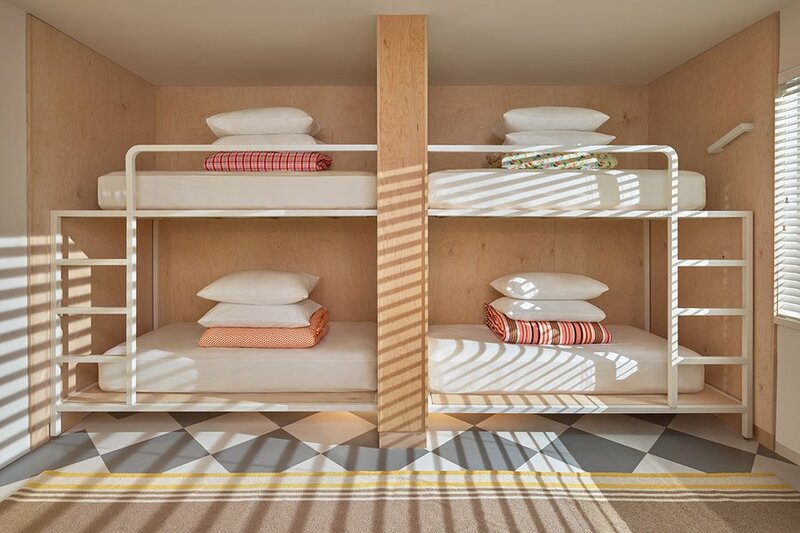 Bunk with friends in a dorm-style room that sleeps eight or stick with a king or queen room for privacy. Rooms are available starting May 26, 2016. Perks: When dusk hits, the rooftop garden will become a carless drive-in showing classic films on a 20-foot wall. 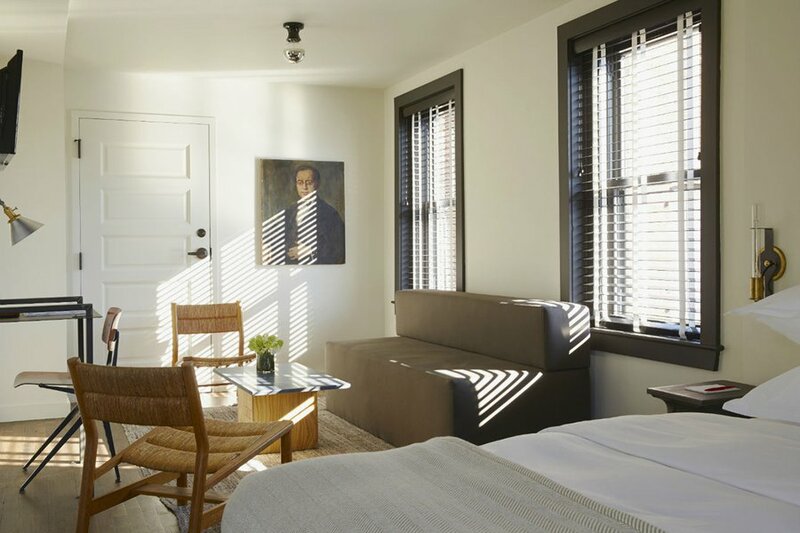 Atmosphere: Beds made from salvaged floor joists, paintings by local artists, and hardwood floors from the original J.B. Mosby department store give the new hotel a uniquely Richmond feel. Perks: Book the and experience downtown Richmond from two wheels with . 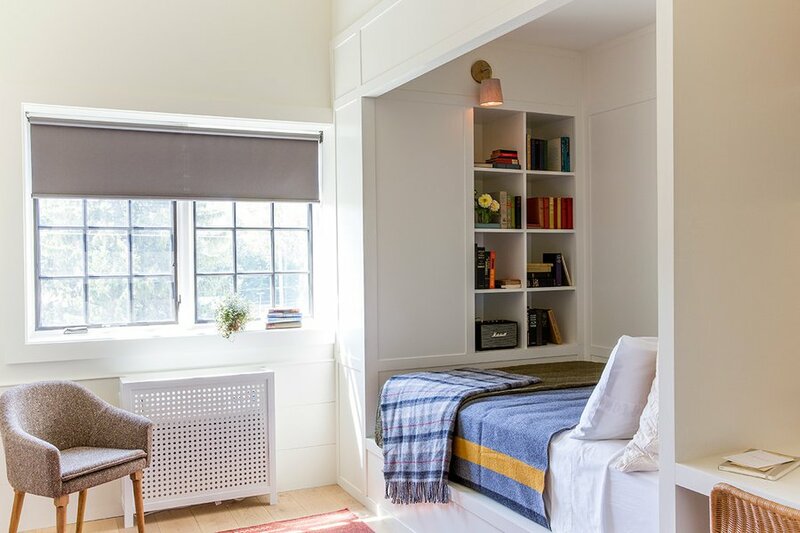 Atmosphere: The former motel is decorated with vintage and custom home furnishings that reflect an early American modern aesthetic inspired by the maker culture in the Hudson Valley. Perks: Bathrooms are stocked with natural products from and . Atmosphere: The modern bed and breakfast is in one of Provincetown's last remaining colonial-era homes. Local artist Michael Gredler's painted oversized portraits of Captain Eben Snow (the original owner) and his family and added fun, modern touches to each. 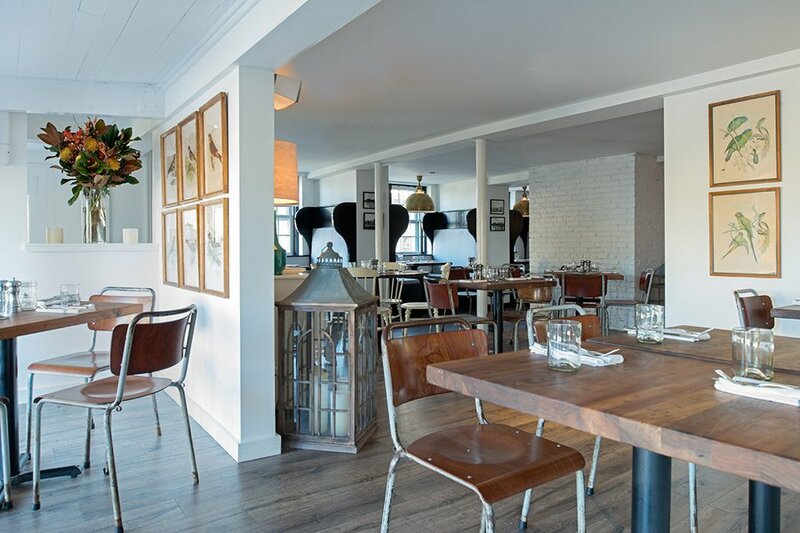 Perks: Breakfast is served in the peaceful conservatory, and rooms come with a complimentary parking space, a lifesaver in Provincetown. 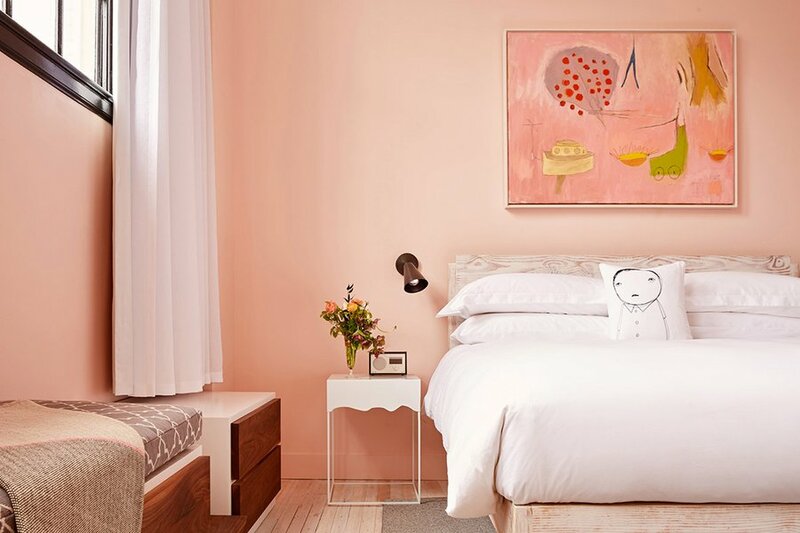 Atmosphere: A shabby-chic beach cottage with luxurious white bedding, vintage photographs, and antique paintings. Perks: Refuel after a long day at the beach with seasonally inspired new American fare at the hotel restaurant . Atmosphere: Designed to reflect the city's history and culture, the handsome boutique hotel is filled with locally made furniture and found objects from Europe. Perks: Pick up a mic and get down with your favorite tunes in a private room at , Providence's first and only karaoke lounge. 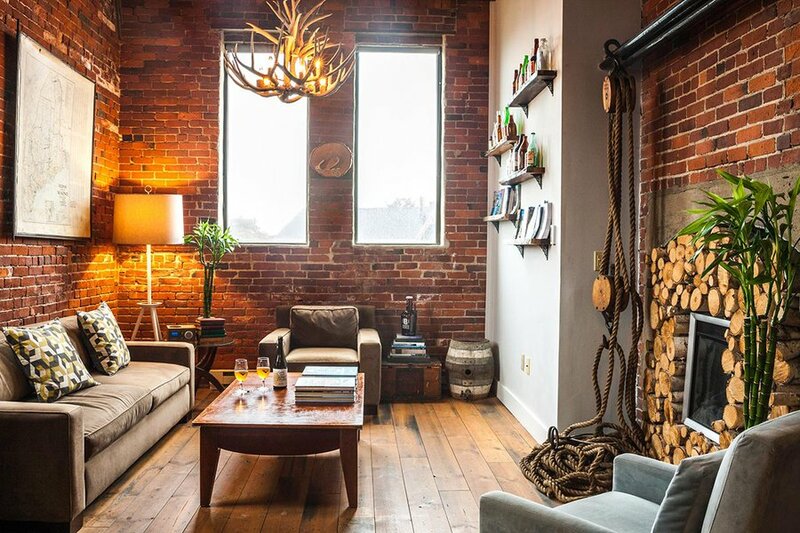 Atmosphere: The urban inn located in an historic brewing facility is considered a top hotel for beer lovers. Rooms come with iPads and access to a fleet of eco-friendly Trek cruiser bicycles. Perks: Sip on a complimentary beer from Smuttynose Brewing Company while checking in. 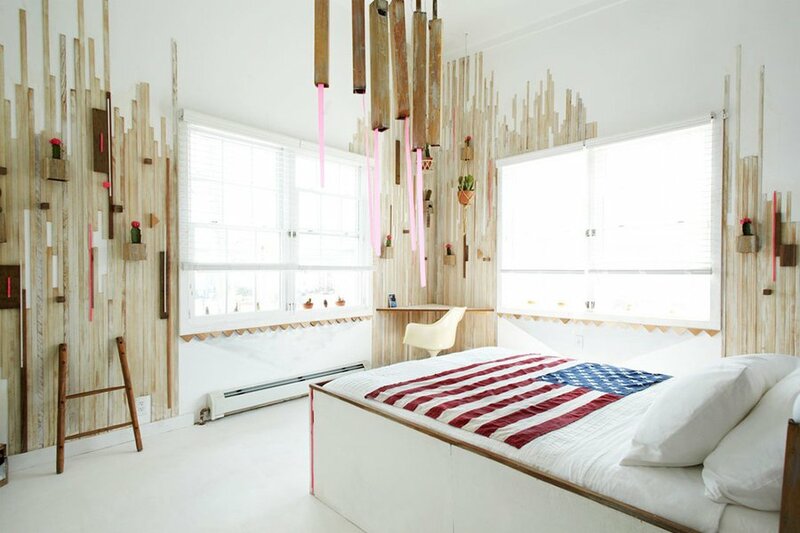 Atmosphere: The twelve guest rooms at the revamped seaside motel were individually designed and decorated by a different Brooklyn artist. Libations, dance music, and bar food are available downstairs at . Perks: Book a lesson with — you're just a block from New York City's top surfing beach. — and see how you can turn your every day expenses into great getaways.